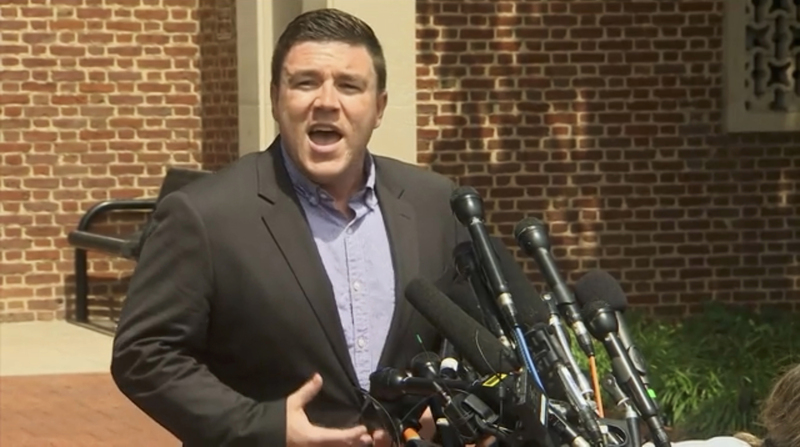 In this week’s roundup: The internet’s leading neo-Nazi and the Charlottesville planner confront legal problems, a planned mosque shooting and the problem with hate-crime stats. That quotation is from Aaron Sorkin’s film “The American President.” It’s weird to see a neo-Nazi quoting one of Hollywood’s most iconic liberals, but 2017 makes for strange bedfellows. Anglin is being sued by real estate agent Tanya Gersh. 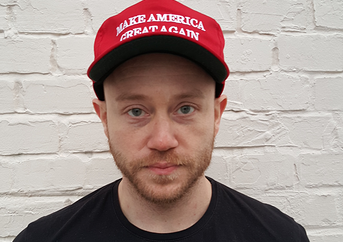 Anglin directed readers to unleash a “troll storm” against Gersh, who is Jewish, after she clashed with the mother of white supremacist Richard Spencer. Anglin posted Gersh’s phone number, email address and social media accounts. The Gersh family was deluged with anti-Semitic harassment. People called their home and played recordings of gunshots. Gersh’s 12-year-old son received Twitter messages like, “psst kid, theres (sic) a free Xbox One inside this oven,” a reference to the Holocaust. Anglin’s legal team argues his posts are constitutionally protected. “Every word uttered by Mr. Anglin in this public dispute is protected by the First Amendment, no matter how many people find those views intolerable,” the brief reads. They assert Anglin isn’t responsible for the actions of his readers. He was simply encouraging them to protest. The case could have major ramifications for online harassment. The filing also contains another clue about Anglin’s whereabouts, or where he is not anyway. For months, Gersh’s legal team was unable to locate Anglin to serve him with the lawsuit. He wrote a blog post saying he had moved to Nigeria. (We later debunked the proof he used to back up the claim.) The brief notes Anglin is not living in Ohio, where he grew up, and where Gersh’s lawyers repeatedly attempted to locate him. 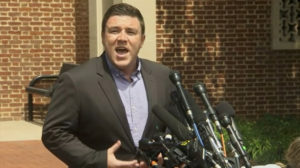 Jason Kessler, the man behind the deadly August rally in Charlottesville, Virginia, has reportedly filed for a permit for an anniversary rally next summer. Kessler wrote on his website that he “fully expects” a heated legal battle over the permit. If he gets one, it won’t be the provocateur’s only legal headache. If the punitive damages arguments hold up through trial, that jury would be empowered to hand down an award that could financially crush most activist groups, especially groups as small, marginalized, and rightfully reviled as the groups behind the Charlottesville rally. In Jacksonville, Florida, a 69-year-old man was arrested after plotting a mass shooting at a local mosque. Bernandino Gawala “Nandie” Bolatete, a Filipino immigrant who was arrested after an undercover investigation by the local sheriff and the FBI, had purchased weapons for the attack and had expressed “anti-Muslim sentiment,” according to local media. A man was charged with a hate crime after allegedly threatening an 84-year-old Jewish man at an assisted living facility in the Bronx, New York. Alen Califano is accused of breaking into the home and threatening several residents including the elderly man. He is accused of directing anti-Semitic slurs at the man. In St. Louis, Matthew Lieberman, a veteran Democratic fundraiser, was charged with multiple firearm felonies after allegedly firing a gun at two local businesses and shouting racist anti-African American slurs. Last month, the FBI released statistics for hate crimes across the United States. ProPublica’s Ken Schwencke dropped a fascinating piece looking at why the FBI’s numbers paint an incomplete picture. The FBI relies on reports from local law enforcement agencies. The problem is that the FBI doesn’t mandate agencies to comprehensively keep track of this data. Eighty-eight percent of law enforcement agencies didn’t report a single hate incident for all of 2016. More than 280 agencies responded, but in many cases only to say they hadn’t investigated any such incidents, or had no records, or that their records were bad. Only 12 states have rules requiring law enforcement officials to be trained to recognize hate crimes. As a result, the FBI’s report contains a small fraction of the total number of actual hate crimes occurring in the United States. Research conducted by another government agency may provide a clue to the true scale of the problem. Where the FBI found 6,121 hate crimes over the course of last year, numbers from the Bureau of Justice Statistics suggest something different. Based on survey data, the bureau estimates that around 250,000 hate crimes occur annually in the United States. George says hate crimes are born from prejudice embedded in popular culture. When a culture doesn’t challenge statements that suggest some people are intrinsically better than others based on the color of their skin, hate crimes are the inevitable result. The defining characteristic of a hate crime is not actually hate. It’s prejudice. We use the word ‘hate’ because it’s born of a hateful climate. But a climate is a collective mood. It’s not individual selective move. In the face of political ineptitude, we only have one option: Let’s improve. In Jacksonville, Florida, a 69-year-old man was arrested after plotting a mass shooting at a local mosque. Bernandino Gawala “Nandie” Bolatete, a Filipino immigrant who was arrested after an undercover investigation by the local sheriff and the FBI, had purchased weapons for the attack and had expressed “anti-Muslim sentiment,” according to local media. A man was charged with a hate crime after allegedly threatening an 84-year-old Jewish man at an assisted living facility in the Bronx, New York. Alen Califano is accused of breaking into the home and threatening several residents including the elderly man. He is accused of directing anti-Semitic slurs at the man. In St. Louis, Matthew Lieberman, a veteran Democratic fundraiser, was charged with multiple firearm felonies after allegedly firing a gun at two local businesses and shouting racist anti-African American slurs.